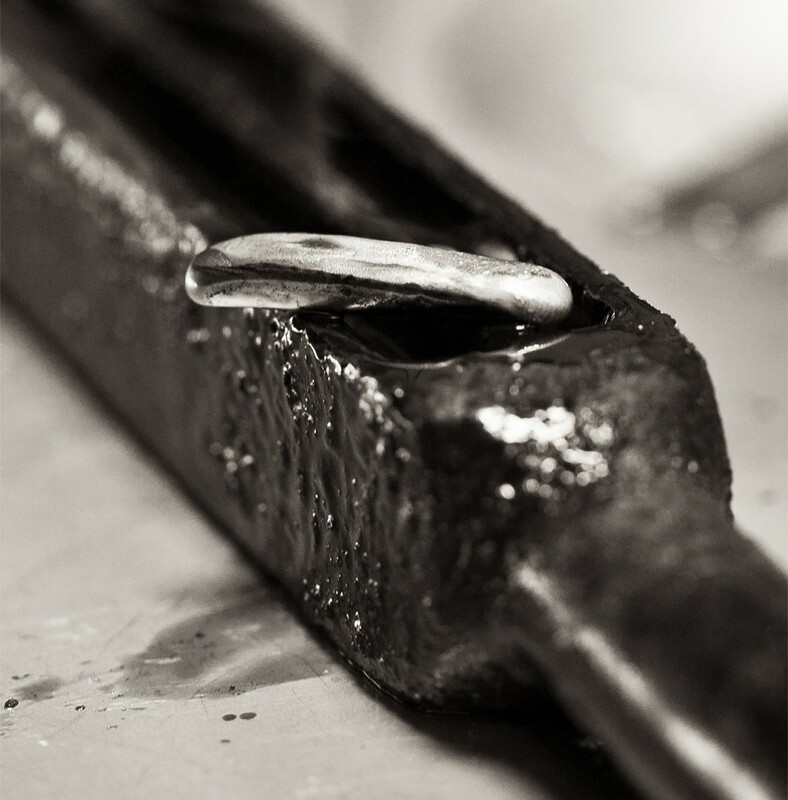 In making a ring, our first step is to determine a given jewelry design’s composition. Various elements are weighed and ratios are calculated. Propane is mixed with oxygen to create a flame hot enough to melt the metals quickly and evenly. As temperatures move beyond 900 degrees Celsius, specialized ceramic crucibles are needed to hold the molten metal. Borax helps remove impurities from the metal and to make it more viscous when pouring. As soon as the liquefied metal starts to ’dance’, it is quickly poured into an iron mold. The oil applied to the mold makes it easier to remove the gold ingot once it’s cooled off. Upon reaching a solid state the ingot will be warm to the touch. The ingot’s exposed surface is rough, pitted from taking in air at the start. 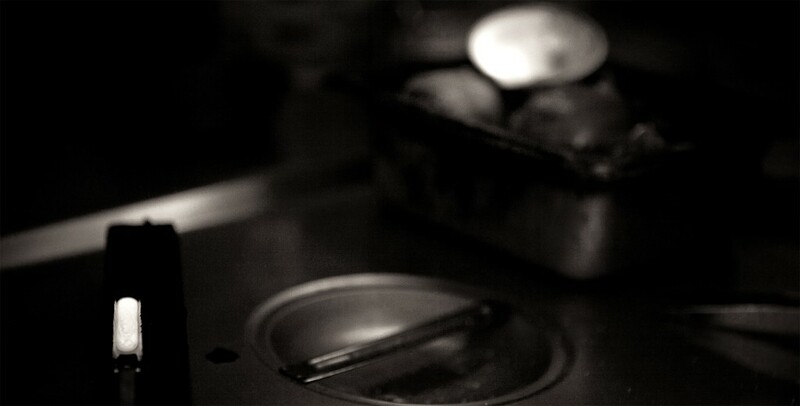 Using a special bench torch we gradually reheat it, releasing the tiny pockets of air in the process. Once smooth, the ingot is air cooled before submerging it in a pickling solution. This second cooling prevents the gold from cracking due to the sudden temperature drop. Pickling removes any left over borax and oil, allowing for the real work to begin. The micrometer is widely considered an indispensable tool in small scale hand fabrication. At this stage, we need to decide how much the ingot should be lengthened or widened. Once these measurements have been determined, we can rough out the basic shapes for the ring’s individual components. This piece will form the ring’s shank (the enclosed piece that holds your finger).